First of all, dear friend, will you be so kind as to go to my house with Frau von Fabry? I stupidly forgot there—in the bedroom, not in the salon—the beautiful and revised copy of a composition for piano and violin or violoncello, together with the transcription of the same for pianoforte alone. The title is “La lugubre Gondola” (the funeral gondola). As though it were a presentiment, I wrote this élégie in Venice six weeks before Wagner’s death. Now I should like it to be brought out by Fritzsch (Leipzig), Wagner’s publisher, as soon as I receive it from you in Weimar. Hearty greetings to your family. he who changes everything he touches to Wagner. 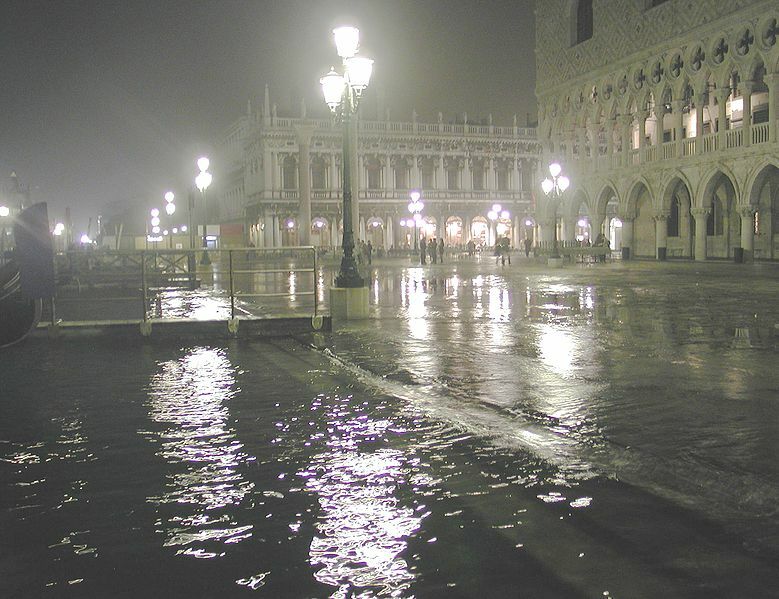 The ocean’s green cold pushes up through the palazzo floors. his face a white flag. The gondola is heavy-laden with their lives, two round trips and a one-way. A window in the palazzo flies open and everyone grimaces in the sudden draft. Outside on the water the trash gondola appears, paddled by two one-oared bandits. to the mineralogical institute in Padua for analysis. Too heavy to rest, they can only sink and sink straight through the future all the way down to the Brownshirt years. The gondola is heavy-laden with the future’s huddled-up stones. March 25th. Angst for Lithuania. Dreamt I visited a large hospital. No personnel. Everyone was a patient. who spoke in complete sentences. Beside the son-in-law, who’s a man of the times, Liszt is a moth-eaten grand seigneur. and when his time comes to die, there will be no one to meet him at the station. A mild breeze of gifted cognac carries him away in the midst of a commission. Two thousand letters a year! before he’s allowed to go home. Dreamt I drove over a hundred miles in vain. sang so loud that it briefly struck me deaf. on my kitchen table. I played on them, mute. finally has something to say. so the ocean’s green force rises up through the floor and flows together with all the stone in the building. 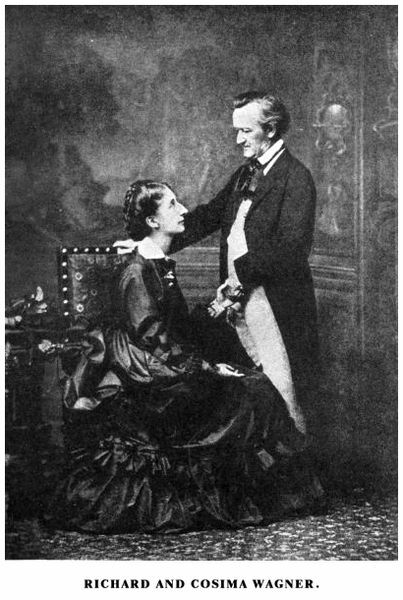 Wagner married Cosima Liszt, Franz Liszt’s daughter, 24 years his junior. Thus Liszt officially became Wagner’s father-in-law, even though he and Wagner were very close in age (Liszt was only two years older). Punchinello is a short, punch-bellied buffoon in Italian puppet shows. The Wagner family went to Venice for the winter. 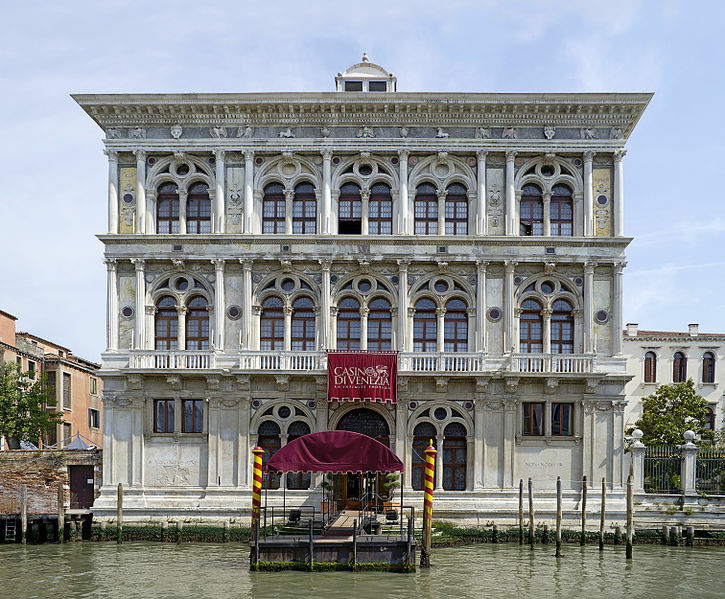 Wagner died of a heart attack at the age of 69 on February 13, 1883 at Ca' Vendramin Calergi, a 16th century palazzo on the Grand Canal. Franz Liszt's two pieces for piano entitled La lugubre gondola (Die Trauergondel) evoke the passing of a black-shrouded funerary gondola bearing Richard Wagner's remains over the Grand Canal to Venice’s Santa Lucia railroad station. Wagner was buried in Bayreuth. The piece that’s referred to as The Funeral Gondola Nr. 2 is basically a revised version of the already wonderful (in my opinion) first piece. “Abbé Liszt” – in 1857, in a period of great sorrow in his life, Liszt joined a Franciscan order, and lived for a while at the Monastery of the Madonna of the Rosary in Rome. He did “receive the tonsure” (i.e. was officially a monk), but he was never a priest (Vivaldi, the “Red Priest,” really was a priest; by the way, Vivaldi was born in Venice and lived there most of his life). While we associate Liszt with flamboyance and being the greatest pianist of his time, it’s a little known fact that he donated a lot of money to various charities, including the restoration of the Cologne Cathedral. After his mid-forties, he donated all his performance fees to charities. Though some prefer to think of him as a sinner rather than a saint, his later life leans to the latter. In a similar vein, it’s a mistake to dismiss Liszt as a mere virtuoso show-off. His late pieces have depth and musical daring. I would prefer “funeral gondola” as the title; I enjoy the specificity. This type of gondola is still in use. Note the interweave of the scene of the funeral gondola’s passage with the present, which is rendered chiefly through the poet’s dreams. Baltics also uses the past-present interweave; likewise, I was reminded of Anne Carson’s stunning interweave in The Glass Essay. Note that in all these cases, the technique involves close-up, i.e. a relatively “narrow slice” of life rather than a panorama. Thus we have “Emily in the parlor, brushing the carpet” in Glass Essay, and here “A window in the palazzo flies open and everyone grimaces in the sudden draft” and the repeated evocations of the gondola’s being simple and black. together with all the stone in the building. ~ especially “his face a white flag” – the flag of surrender, a sign that he knows he’s lost the battle for his life and is no longer struggling. ~ and then the brilliant line about how they sink all the way to the future. The Nazis are invoked because Liszt’s piece with those heavy chords was meant as a tribute to Wagner, and Wagner got appropriated by the Nazis – but this is not the place to get into that controversy. Tranströmer is fully modern in this poem; he doesn’t wish to distort reality just so that the homage to the two composers can appear more solemn. Thus the appearance of the trash gondola. That’s how life is, the beautiful and the ugly side by side. Finally, note how the specificity of the Liszt and Venice parts contrasts with the anonymity present in the dreams: in a hospital, everyone is a patient and there is no medical personnel; in a school, both the students and the teachers are masked. Who, or what, is there to guide us, to comfort us? ~ There is a desperate beauty in this: if there is no piano, just draw the piano keys on the table, start playing them, and people will come to listen. Spent time reading and re-reading Transtromer about Wagner and Liszt. Fantastic writing. Don't you wish you could hear it in his native language. Love the sound of "sospiri" – Italian really does more with a word than English. I wonder what the word is in Swedish. I especially love “the chord so heavy it sinks straight to the bottom.” I listened and that's how it sounds. Heavy as a meteorite. Also the piano keys drawn on the table. It reminds me of the movie where the pianist is hiding from the Nazis and there is a piano in his hiding place and all he can do is sit with his hands above the keys and pretend to play. So poignant about Liszt: "he carries his own suitcase "and there will be no one to meet him at the station when the time comes.” It really presents the picture of how lonely dying is. On another note I loved the description of Wagner as Punchinello. At our preschool we played a game "What can you do Punchinello, funny fellow what can you do, Punchinello in the shoe?" and the "It" child would clap their hands or whatever and all joined in. Not that relevant but it came to my mind. 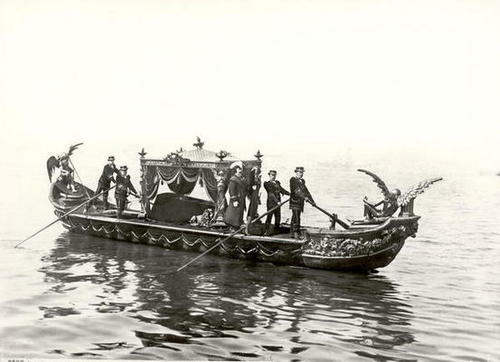 All the photos of Venice bring back memories and the funeral gondolas are eerie and beautiful. I agree that it’s a fantastic poem. Actually I wanted it to be longer, to tell us more about Liszt and Wagner, and especially something about Cosima – all three were such interesting characters. And then the background of Venice and the image of the black funeral gondola. The interweave with dreams and “angst about Lithuania” was also excellent. Transtromer was opposed to the Soviet totalitarianism (note the persecuted composer in Baltics) and imperialism, which included the annexation of Latvia and Lithuania. The movie you are referring to is Polanski’s “The Pianist,” based on the memoirs of Wladyslaw Szpilman. While in hiding, he was strictly forbidden to touch the piano – playing it would obviously draw attention to his presence in the apartment. And the movie audience knows how much he yearns to play. So he moves his fingers above the keys, never making a sound, though he hears the entire concerto in his head. It’s one of the most memorable scenes in the movie. Liszt’s loneliness was alleviated by his involvement in music up to the very end. Music was his companion. That’s the special luck of musicians – even when not physically able to play, they can “play” their favorite pieces in their mind. It’s fascinating that your preschool kept the Punchinello tradition alive, so to speak. The name sounds delightful. Which reminds me: yes, sospiri is marvelous, but “sighs” is a good onomatopoeic word – it just needs to be pronounced slowly. Below: Cosima and Richard, 1872. Yes, poor Cosima had a large nose, after her father. She was also tall and thin; her nickname, during her teens, was “the stork.” But again I want yo to notice that one senses the love between these two. When I was listening to Liszt's "...Gondola" and saw the pictures I got the feeling of moving in the gondola on the canal. Cosima must have been so interesting. Amazing blog. Love the way you write about history. Hyacinth’s description of the funeral gondolas applies to the whole city: “eerie and beautiful.” In this poem, however, Rilke reminds us that Venice was once a formidable naval power. “Old forest skeletons” refers to the alder pilings on which Venice was built. like a bait, catching the days as they surface. seizes the high wind, radiant and deadly.